Christi Friesen is an award-winning artist from America, who works in polymer embellished with multi media. Her work has been showcased in numerous books, magazines and exhibits. She is the author of ten how-to books on creating with polymer clay. She teaches throughout the world, using humor and positive energy to encourage her students to stretch their creativity, technical skills and artistic confidence. Visit her website to discover more! 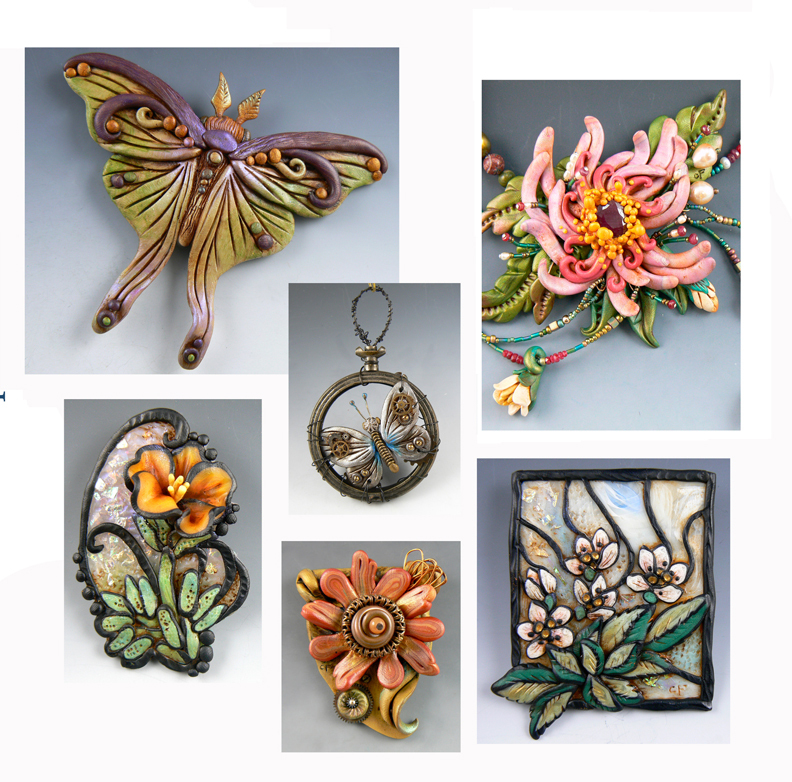 We will explore a variety of leaf and flower sculptural techniques as well as how to incorporate them into focal beads and pendants, brooches, necklace arrangements, wall pieces and covered vessels. You will create small stained glass-style pendants, accented with glitters and powders to create a miniature masterpiece. Learn new tricks, unleash your creativity and have a wonderful time! Plate of food to share. SKILL LEVEL All levels are welcome, from beginner to advanced.